~~> It’s a royal snooze fest! Help Sleeping Beauty wake up the entire kingdom and save them from the sleeping spell! 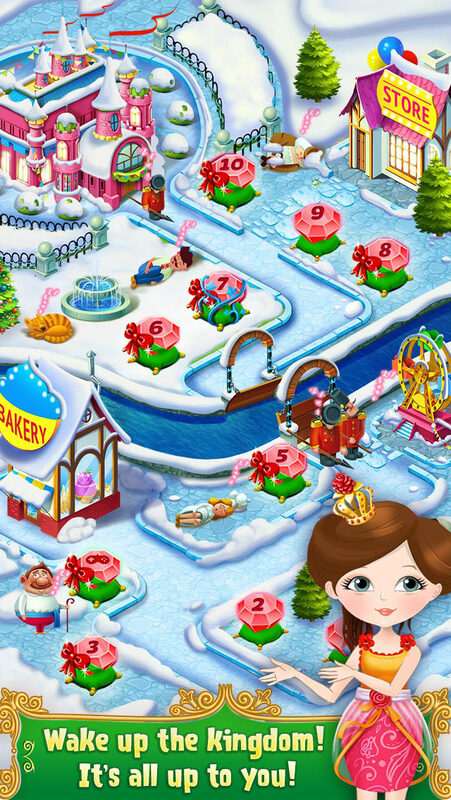 ~~> Overcome TONS of fun and challenging levels as you make your way to the royal palace! ~~> Dress the princesses in gorgeous gowns, care for royal animals, cast magical spells and more! Your favorite princesses are back with an all new adventure you won’t want to miss! Join the princesses in a race against time to wake friends and save the kingdom from the evil sleeping curse! Spin the magic wheel, dress up the beautiful princesses and so much more! It’s time to rouse those royals and restore the land! > Dress up your princess in stylish necklaces, fancy royal shoes and more! 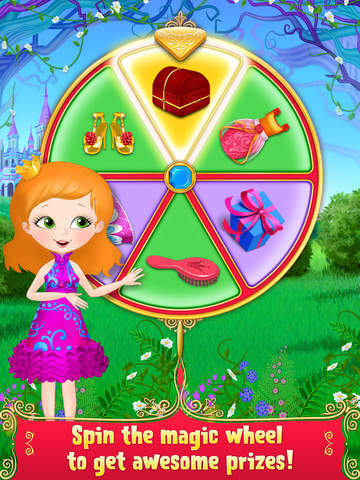 > Spin the magic wheel to win amazing presents like pretty dresses and tiaras! > Wake the royal horse with a flea comb, water sprayer and more! > Surprise sleepy princesses with feathers, paint, and cold water buckets! > Brush messy princess’s hair and add some chic hair spray! > Prepare a scrumptious feast for the royal messengers! > Choose from royal-themed coloring pages and decorate them as you like! In apps that include “All Levels” allow you to enjoy the entire game! Complete each level individually to advance to the next one and achieve your final goal.